Cute! Nice use of the Nexo Knights shields as shaping around the clock face. There's not really anything I would change about this - good luck in the contest! Aw, man! I was hoping I'd find a JonTron reference somewhere! Just a little something about S-scizzermin. 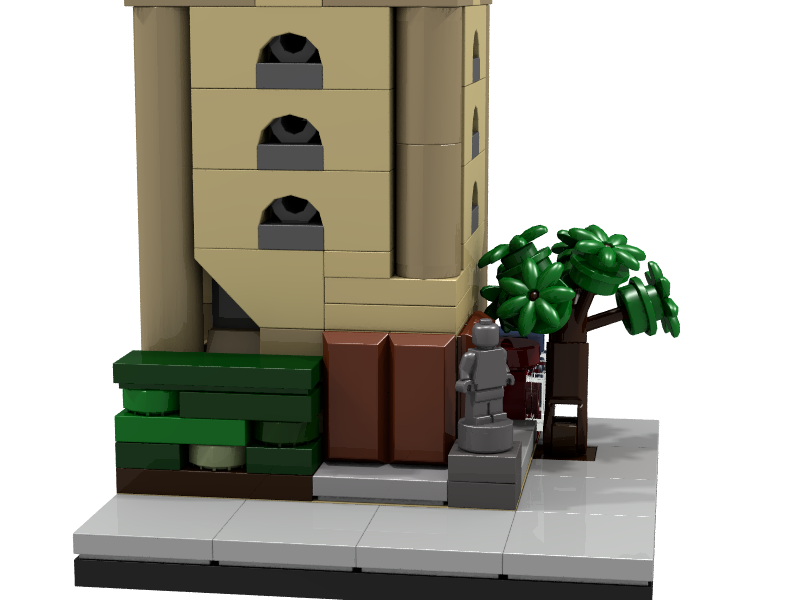 Onto the MOC itself. This little thing is really well-done. It's not gappy, it has sidewalks beneath it, and there's a tiny statue thrown in for good measure. 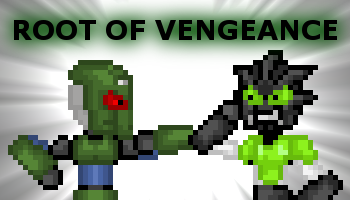 See, that's my favorite part about the MOC; you did everything you could on such a tiny scale, and it looks great. 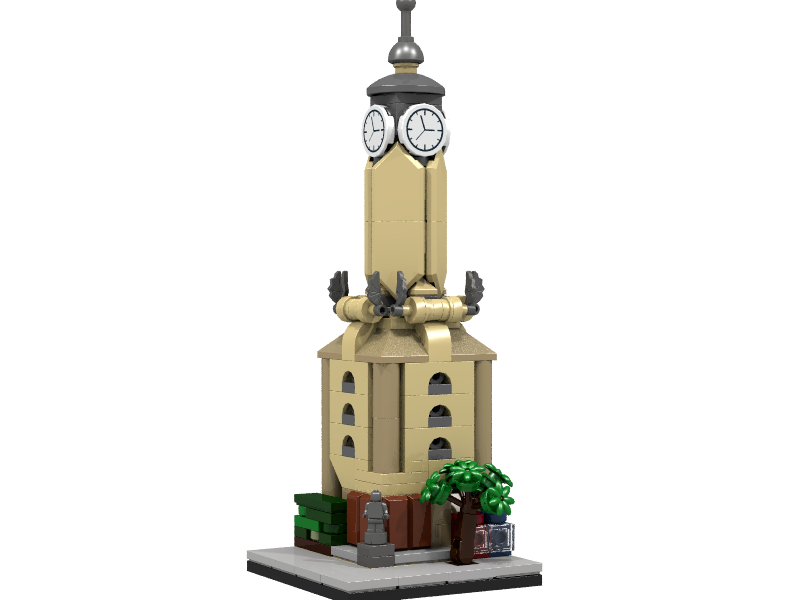 Heck, it actually looks kinda like a miniature version of a hypothetical set. 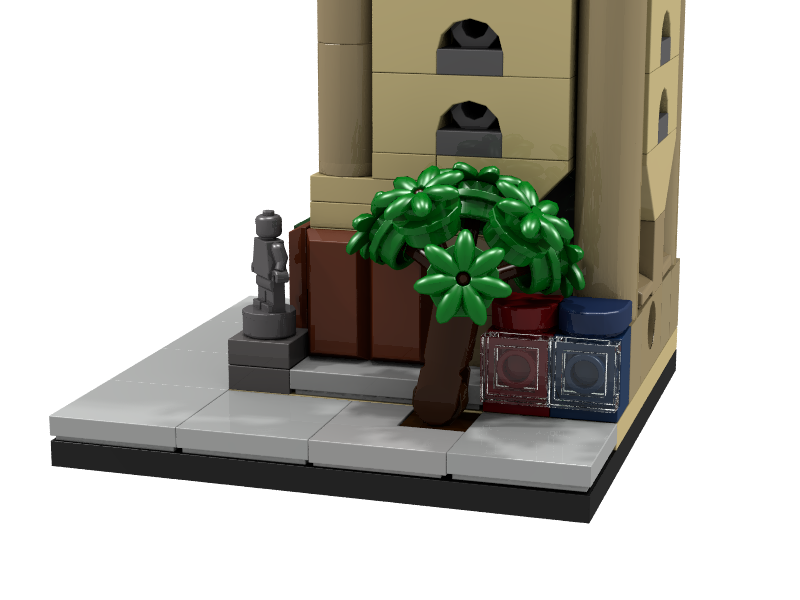 You know how people will sometimes make mini versions of actual sets? Kinda like that. Great job and good luck in that competition (if it hasn't ended yet)! 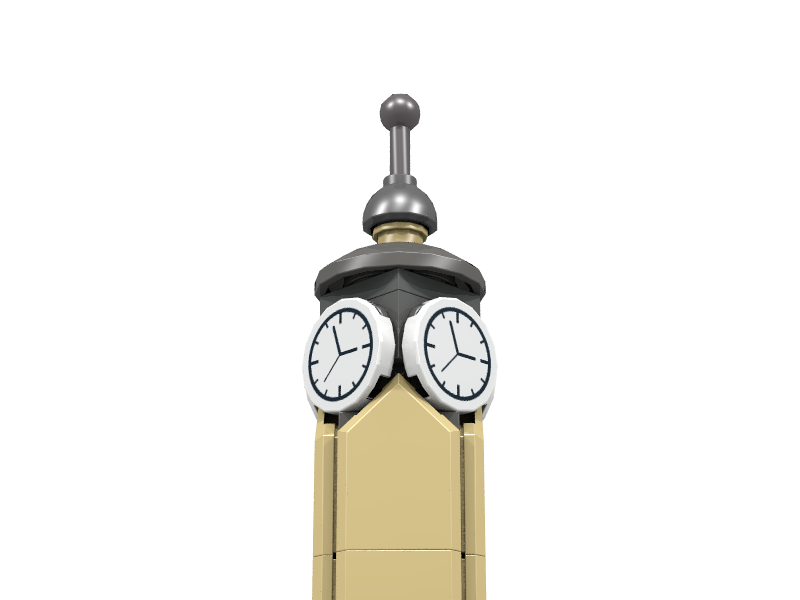 Title's playing games with me, I thought it might be a build of the Clock Tower from the 1995 game Clock Tower. Regardless, it is a very nice build. 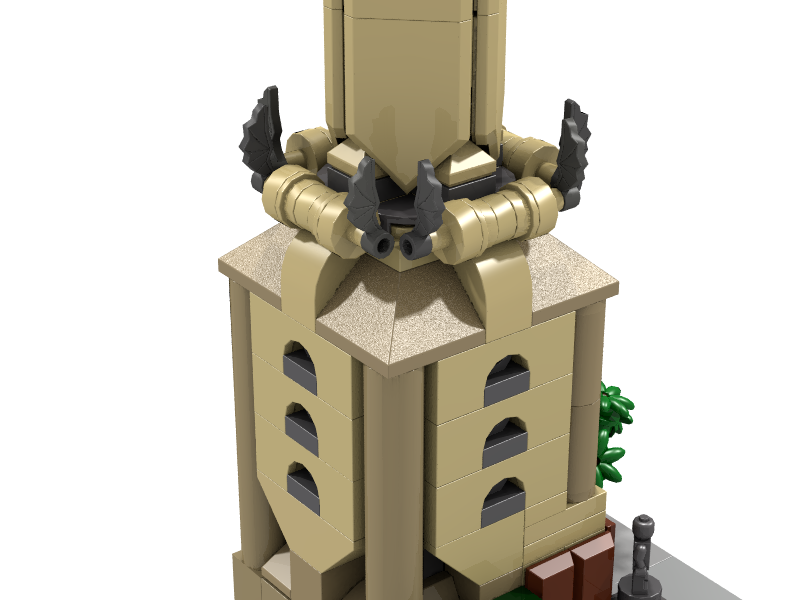 The smooth detailing on the tower is fantastic in my opinion, and the wing pieces for grotesques look very well placed.